A prominent couple prepares to retire, when an assassin's bullets retires them permanently. And he doesn't stop there. As the investigation pushes forward, layers of deceit, greed, and bitterness are peeled away, and two families, connected by marriage and murder, face the exposure of their darkest secrets. It's just another difficult case until Matt finds his wife caught in the killer's cross-hairs. Track It. This book reaches $0.99 about 4 times a year. Log In to track V. B. Tenery on eReaderIQ. 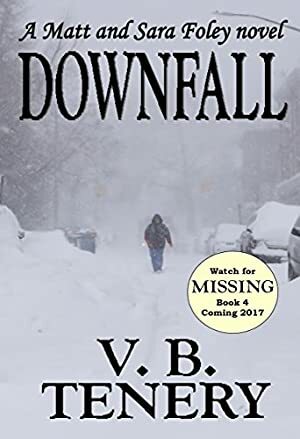 to be notified each time the price drops on any book by V. B. Tenery. to stop tracking V. B. Tenery. We started tracking this book on June 2, 2015. The price of this book has changed 33 times in the past 1,420 days. The lowest price to date was $0.99 last reached on February 11, 2019. This book has been $0.99 16 times since we started tracking it. The highest price to date was $3.99 last reached on March 30, 2019.